Day one of four at The Bicycle Academy and a step into the unknown. Well, half unknown anyway: walk through the doors into the tidy and well-appointed workshop and if you're new to this frame building lark like me you'll see a mix of the reassuring – metal files, saws, vices, spanners – and the downright terrifying: Oxyacetylene torches, gas flux canisters, extraction units… this is all well beyond the realms of my fabrication experience which mostly revolves around a Dremel Multi and a big tube of Araldite. Anyway, down to business. 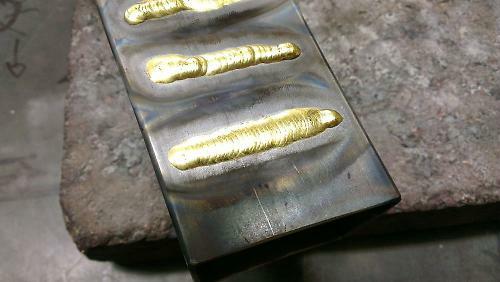 Andrew's in charge and he soon puts me and my fellow student Tomasz at ease with some nice clear guidelines on safety – don't touch the hot things or point the very hot thing at anyone – before delving straight into the fillet brazing. Andrew's taken over teaching from legendary frame builder Brian Curtis, who's currently recovering from being unwell. Andrew's upfront about how many bikes he's built – precisely one – but Brian's clearly taught him well, and he's a natural teacher himself. We watch as he draws a perfect line in brass across the box section test piece. Keep the cone of the flame close to the fillet, let the pool of molten brass melt the rod, dab and move. And then it's our go. It's fascinating and unusual to try something entirely new. 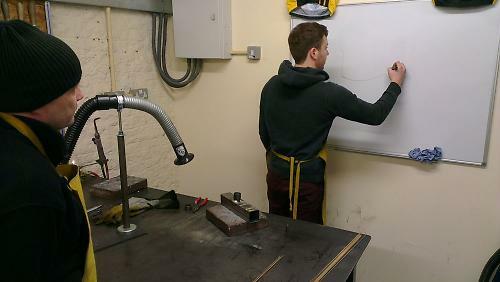 With just a few basic commands – forward, back, up, down, rod – Andrew has us scribing brass across the steel surface. The movements and adjustments are minute, and it seems to be a mix of precision and rhythm and the ability to see what the molten braze is doing at any one time, and anticipating what it's going to do next. From the flat work we move onto brazing a cylinder of steel onto the surface, and now there's more variables. One bit of metal heats up more quickly than the other; there's adjustments to be made to the position of the flame, and constant adjustment of the flame position to track around the joint in the components. Last brazing practice of the day is the real thing, sort of: two mitred tubes. We're building bikes to take huge loads on African dirt roads so the material is mild steel with a 1.6mm wall thickness. This isn't posh tubing, and thank goodness: Andrew shows us just how delicate a high-quality tubeset is by training the torch on a scrap section of Columbus steel with walls just half a millimetre or so thick. It doesn't take long to burn a hole straight through. Brazing two mitred tubes introduces even more things to think about. As well as the difference in heat capacity between the two tubes, there's a constantly differing relationship between them: flat at the edges of the mitre and a deep valley where the centrelines of the tubes meet. 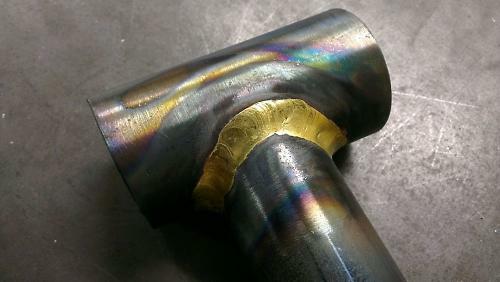 A strong fillet needs more material where the flats are; too little, and too much heat, and the brass will speed too thin. With plenty of direction from Andrew we work our way round. Rod. Rod. ROD. Just like the first day back in Techy class after the summer holidays.